This past week 150,000+ consumers, techies, executives, investors, manufacturers, buyers and other -ers descended on Las Vegas for CES. Tech Cocktail has had extensive coverage of CES including Off The Beaten Path favorites, Trends, and Takeaways so I wanted to do something a little different for a recap. CES has notoriously been a sea of men. Digs for decades said this was a tradeshow for men by men. The last 5 years have in earnest shown a significant growth of female attendance and exhibitors. I asked leading women in technology at CES to share what products and trends stood out and how those technologies could shape their personal and professional life in 2014. Here is what they had to say. While the sleek, curved UHD TV’s may have caught many people’s attention at CES this year, it was Sony’s SmartWatch 2, that made me consider jumping on the whole wearable phenomenon. Not only can this high fashion SmartWatch with its changeable colorful bands work perfectly with any piece of my wardrobe, but it can also work its way to a business meeting with its black metallic case, and comfortable silicone band. Plus it works with any Android-based smartphone via Bluetooth, which means you can connect all your favorite apps to display your Gmail messages, calendar, SMS messages, weather, and pedometer. Second must-have gadget, also by Sony, was their smallest 4K Handycam, which we could use to take #LatinaGeeks video content to the next level. The ability to produce stellar, high quality videos would make our interviews and video announcements much more enjoyable and make it a much more engaging experience. I spend my time at CES thoughtfully looking for tech that inspires, excites and has long-term implications. This year, I got giddy about all of the wearable tech, including House of Marley’s TTR™ Over-Ear Headphones and the Basis Carbon Steel Edition with advanced sleep analysis. As far as products that could have an impact on my business and my clients, it was all about creating content and distributing it even easier. My favorite set up was the iZZi Slim Lens Case. Pair it with a Joby smartphone or tablet stand and the Pocket Spotlight for a quick way to hack your phone and turn it into a video rig. I would like to get the Yellow Jacket iPhone case. It’s empowering and useful as it’s not only a detachable stun gun pack (with plenty of safety mechanisms) but it’s also a phone charger, doubling the life of your existing phone’s battery, and a protective case. For business, I think the idea of “everything as a platform” could be most impactful for us as a media company as well as for the many startups we work with. Consumers have so many choices for where and how they want to consume our content and as a publisher we have increasingly more options for how we can deliver it to them. It’s very exciting! I really loved Neos by Playworld Systems. Do you remember the game Connect? It’s essentially a large version of that game where you run around and push the big dots. It’s a fun game that encourages kids to get outside and exercise. I love it when technology is used to truly better our lives. I fell in love with FitBark, which is basically FitBit for dogs. In addition to activity and health stats, it provides reporting in comparison to breed type and time spent with dog walker each day. Great design and very affordable! A happy refugee from the tech sector now living in Las Vegas, I just couldn’t stay completely away from all that is CES, especially since there are a number of technologies that have some potential for my new world of canine behavioral study, dog training and the like. Remote cameras that allow far more interactive experience are fascinating – both for allowing members of my club access to their beloved pups as well as my ability to observe the dogs’ behavior. The technologies that allow more effective GPS tracking, also great for dogs’ safety. As far as the apps and hardware around tracking dogs behavior, attempting to “interpret” dogs’ barks and trying to automate the process of getting a dog – the jury is still very much out for me on these as they are human attempts to solve human problems that fail almost entirely to have any intelligence or understanding around how dogs ACTUALLY communicate. As a geek, there are so many cool new things in all categories – but I think the I want Sony’s UltraHD 4k TV. The picture quality just blew me away – it’s the best I’ve seen and the image of the beach was almost as good as being there! 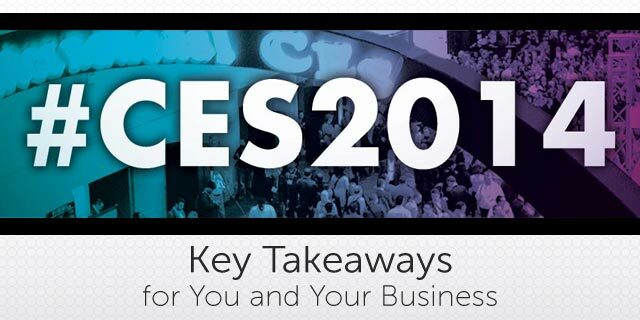 As a content creator and marketer, I also come to CES to see trends – both in new products and how they are marketed. The convergence of fashion and technology was HUGE this year. For example, the portable bluetooth speaker that looks like a Chanel bag excited me. This says to me that tech companies are finally committing to women as consumers and users of technology in categories formerly held by men. The areas I was most interested in seeing were sensors – for wearables and connected home. I wanted to get a sense of whether there were any wearables or Internet of things-type tools that are integrating with content in a unique way, to provide actionable or useful information while quantifying people’s lives (and to see where there might be some opportunities for traditional publishers to reach an engaged audience). While I didn’t see much along those lines, I did get the sense that the sensors industry has become increasingly crowded, with gadgets literally competing for space on people’s bodies. There are a variety of duplicative and vertical products out there that serve functionally the same purpose. I imagine we’ll see a shake out in the coming years as consumers become savvier about the technology and want to see more action-oriented, integrated technology. This year was the first year in several that reminded me of why I come to CES each year — I come looking for hope and technology that will improve and pivot our lives as we know them. The show each year is always about a more connected world, but this year it was not just about connection, but creating a more effective and inspired universe. The individual inventors who have worked tirelessly to create wearable technology to keep a check on vital signs received as much attention and community support as the connected car. I couldn’t get over how instantly obsessed I was with Canary and Dropcam Pro. The idea of home security never really sparked my fancy before, but recently I adopted a dog and the idea that I can see her when I’m not home was really appealing to me. I also was inspired by the other use cases for video monitoring for public use including everything from restaurants using it to show their wait lists to animal shelters showing their adoptable pets. Professionally I do a lot of work with NGOs, nonprofits and social entrepreneurs so I was looking to what could impact their work in the field. I think there are a lot of positive implications to be able to share field work more seamlessly with donors and supporters. A few along those lines include the Samsung Galaxy NX to be able to instantly email or send photos to social media, WakaWaka Solar Lamp for everything from Hurricane Sandy to Syria and Swivl for learning and recording classes from anywhere. Sloane Davidson is a social entrepreneur, philanthropist and writer who focuses on the intersection of technology and social good. In 2009, Sloane founded The Causemopolitan, a blog that encourages giving back. Recently, she wrote and published The Giving Manifesto. Her professional expertise includes 10+ year in marketing, business development and fundraising. She loves reading books. Find her @sloane on Twitter and Instagram.